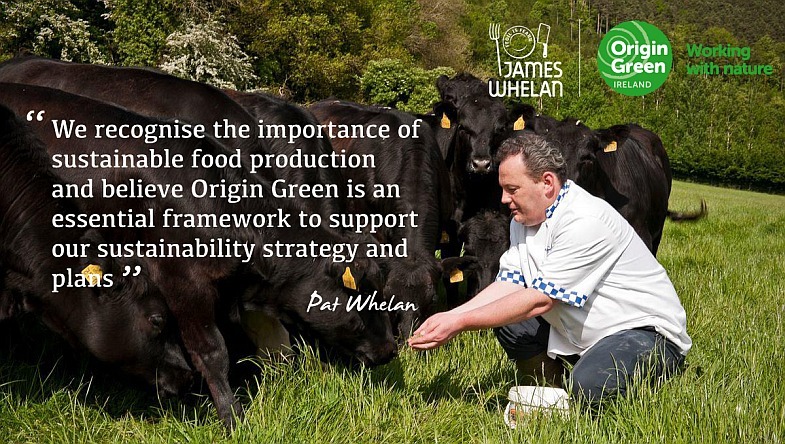 At James Whelan Butchers we are passionate about the sustainability of food production. We have increasingly embedded sustainability thinking into our business practices. As part of our Sustainability Strategy we have developed a 5 year Sustainability Plan that covers the following areas, Waste Reduction, Energy Reduction, Raw Material Sourcing, Customers and Community. This plan represents a journey of continuous improvement, with formal and verifiable targets. It provides a clear vision for each area to help us on our sustainability journey. To provide us with an essential framework to support and verify our sustainability strategy and plans, we have become verified members of the Bord Bia Origin Green Programme.